DALLAS – April 3, 2018 – A one-two combo punch using two currently available drugs could be an effective treatment for the majority of lung cancers, a study by scientists with UT Southwestern's Simmons Cancer Center shows. Researchers found that a combination of drugs – one targeting epidermal growth factor receptor (EGFR) and one targeting tumor necrosis factor (TNF) – effectively blocks the cancer from using TNF as an escape route. Using a mouse model, the researchers showed that when TNF is also blocked, the cancer becomes sensitive to EGFR treatment. "There has been a tremendous effort over the past several years to block EGFR as a treatment for lung cancer, but this therapy only works in a small subset of patients. The cancer fights back with a bypass pathway," said senior author Dr. Amyn Habib with the Harold C. Simmons Comprehensive Cancer Center at UT Southwestern and a staff physician at the Dallas Veterans Affairs Medical Center. "Blocking both of these proteins could be a treatment that is beneficial for the majority of lung cancer patients," said Dr. Habib, Associate Professor of Neurology and Neurotherapeutics with UT Southwestern's Peter O'Donnell Jr. Brain Institute. Lung cancer is the most common cause of cancer deaths in the U.S. for both men and women, according to the National Cancer Institute and in 2017, lung cancer caused 26 percent of all cancer deaths. Non-small cell lung cancer (NSCLC), the type of lung cancer for which the EGFR/TNF inhibitor combination would be effective, comprises approximately 85 percent of all lung cancers. 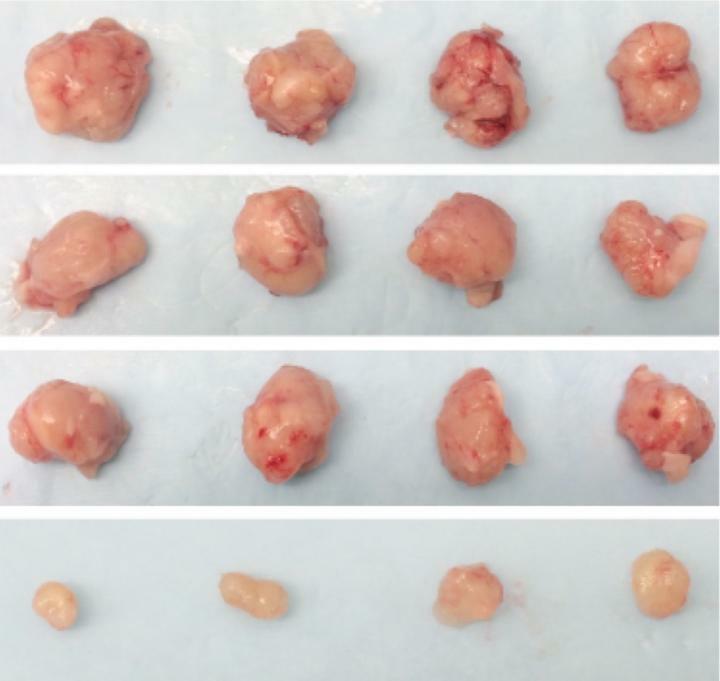 The latest findings build on previous work by Dr. Habib's lab showing that the same combination of drugs was successful in a mouse model of glioblastoma, a deadly type of brain cancer. Researchers are now planning a phase 2 clinical trial of the two-drug strategy, and because the two drugs are already FDA-approved, they hope to be able to launch the trial within a year, said oncologist Dr. David Gerber with the Simmons Cancer Center, who will lead the trial. The clinical trial being planned will test the treatment in both lung cancer patients and those with glioblastomas. "If this strategy is effective, then it might be broadly applicable not only against lung cancer but also against other cancers that express EGFR, which include brain, colon, and head and neck cancers," said Dr. Gerber, Associate Professor of Internal Medicine and Clinical Sciences. Another advantage of the anti-EGFR/TNF strategy is that the drugs are well-tolerated. Both the EGFR inhibitors and TNF inhibitors fall into the category of targeted drugs, meaning they affect specific molecules within cancer cells, and therefore have fewer side effects. Traditional chemotherapy drugs, on the other hand, have broad effects, killing cells in both cancer and healthy tissue, and leading to many unpleasant side effects. Until now, EGFR inhibitors have only been effective at treating the 10 to 15 percent of non-small cell lung cancers that have a variant of EGFR, but the two-drug combo could potentially work for all non-small cell lung cancers, explained Dr. John Minna, Director of the Hamon Center for Therapeutic Oncology Research and Professor of Internal Medicine and Pharmacology. "This finding has the possibility of dramatically altering how we treat lung cancer," said Dr. John Minna, who holds the Sarah M. and Charles E. Seay Distinguished Chair in Cancer Research and the Max L. Thomas Distinguished Chair in Molecular Pulmonary Oncology at UT Southwestern, which is recognizing its 75th-year anniversary in 2018. This work was supported in part by grants from the National Institutes of Health and by the Office of Medical Research at the Department of Veterans Affairs. It was also supported by an NCI Lung Cancer SPORE, the Cancer Prevention and Research Institute of Texas, and the Dallas VA Research Corporation.